Have you ever listened to a metal recording and realized it was trying to be all things to all people? Eternal is like that. One of the most recent additions to the ‘European’ school of power metal, I impulsively jumped into this album before realizing, with a start, that my understanding of this subgenre basically ends at 1992, before the genre became the hyperactive, instrumentally maximalist Goliath it is today. Whoops. If this album is any indication of the band’s overall approach, then Stratovarius is ultimately descended from the Van Halen school of music. Few moments will pass on this album without some sort of rapid-fire instrumental flourish or (more importantly) a Big Dumb Chorus™. The Big Dumb Chorus™ is one of the stylistic limitations this sort of music labors under – surely, the audience will remember and better identify with the songs if, on their first try, they can sing along with the refrain? 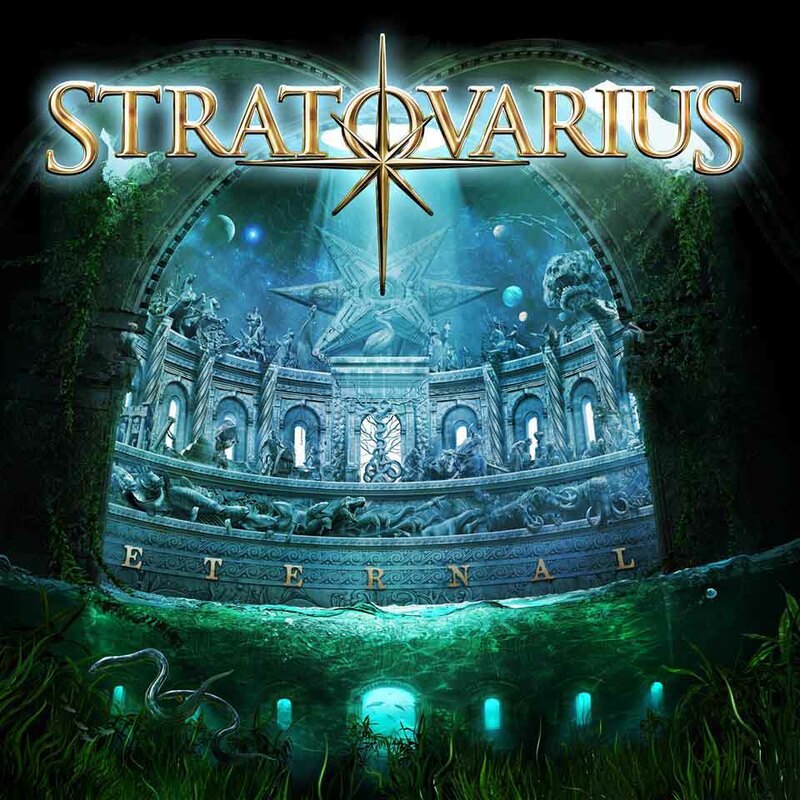 It’s slightly more difficult than your standard pop choruses, since to meet their own power metal ambitions Stratovarius has to make everything as epic and melodramatic as possible. Stratovarius isn’t even the worst offender in this regard, since this doesn’t prevent them from showing off their instrumental skills, but since songs are still structured around these moments, they don’t have much else to do. Because Eternal relies so heavily on conventional pop songwriting, it has to differentiate itself from its companions solely on sound and production. Stratovarius relies very heavily on their keyboard lines to do this, and they do a suitable job of pushing out semi-orchestral flourishes throughout the album. Some of the samples (like the brass at the beginning of “My Eternal Dream”) sound a bit cheap and artificial for 2015, and the keyboardist probably resents you, the reader, personally for not buying enough of their merchandise in recent years. There’s also the occasional vaguely contemporary electronic passage that doesn’t really fit the mood. I suspect such things were carelessly tossed in with the intent to create more “variety”, but they’re ultimately inconsequential and could generally be removed without any significant impact on their tracks. At best, these passages are going to pull in a few EDM drones whose friends are insisting they give metal a chance. Ultimately, Eternal is literally candy. It’s fine and non-toxic in small amounts, but ingesting too much of it will make you jittery and irritable, as well as spoiling your appetite for dinner. Besides, you don’t expect your chocolate bars and peanut butter cups to challenge your conceptions about the nature of food and its relation to reality, right? The last Riot was a much better modern power metal album. No bombastics to the point self-parody or random electronic sections or borderline nu-metal groove riffs or fag aggro vocals (all of which were contained on the previous Stratovarius release, Nemesis, and probably this one too). Just a refinement of the fundamentals of the genre that they helped forge. I really like Elements, its the only Stratovarius album that caught my attention. The ending paragraph reflect quite accurately how I feel about power metal in general. Seriously, have any half decent PM releases come out in the past 15 years? Lost Horizon – Awakening the World (2001) is one of the best power metal albums ever, certainly better than most of the so-called classics from the 80s. Melodic speed metal with smooth, easy rhythms and screechy vocals. Traditional heavy metal but with more cheese and machismo. Thrash riffs and thrash beats with screechy vocals. Melodic speed metal with a classical music influence in the background keyboards and opera/choir vocal styles. I haven’t heard a single power metal albums in the last 20 years that has done anything more than borrow from those templates. Metal Church? Ample Destruction? Fit for Fight? Than again…most people don’t call those albums Power Metal, but that is how I have always thought of them. The line between “trad” metal and Power Metal sometimes baffles me, especially in the 80s.